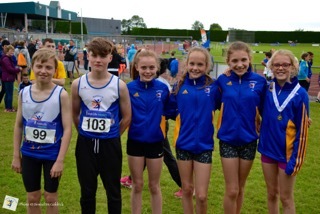 We had some terrific performances at the B All Ireland Championships today from our eight athletes who made the journey to Tullamore. 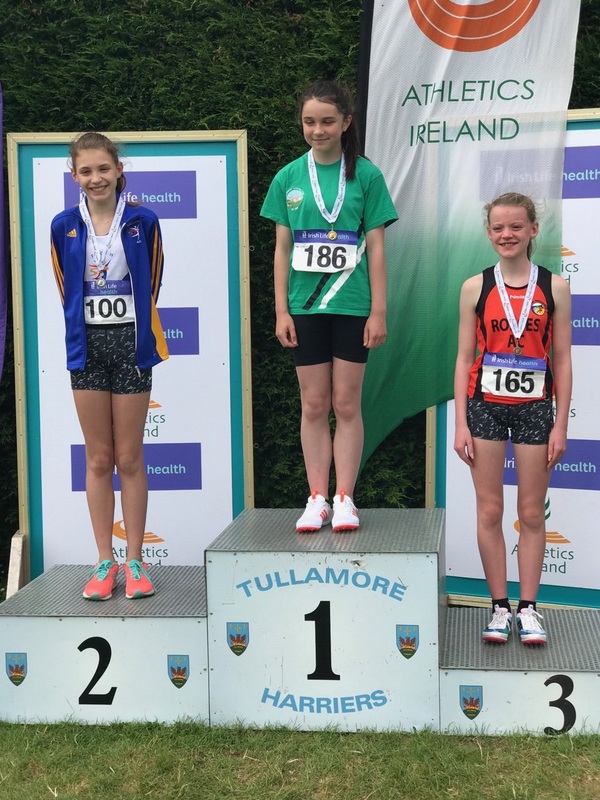 Our sprinters were first out on track and Aobh Forde was back to her very best after a recent injury, Aobh put in a storming run in the girls u13 80m to take silver in a new PB of 11.17s. 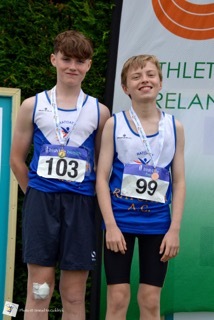 Kevin Conway who has to be the most improved athlete in the club over the past year put in another great run and was unlucky to finish 4th in the boys u16 100m in a time of 12.68s. 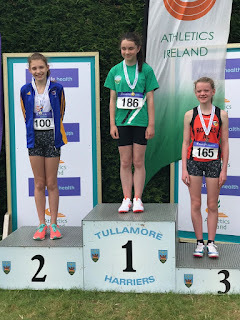 Our middle distance athletes were in great form also with Caoimhe Fitzsimons putting in her best 600m performance to date taking gold in the u12 girls 600m with a time of 1:53.69s, Aisling Stratford put in a great run also finishing 6th with a massive pb of 1:48.67s in the girls u13 600m, while Eoin Kane who spent the previous day in bed with a virus put in a brave run to finish 3rd in the u13 boys 600m. Laura Smith another vastly improved athlete over the past year had a terrific run in the girls u14 800m and was just pipped for silver by two hundreds of a second, so close, but Laura was happy to come away with her first track medal over 800m. 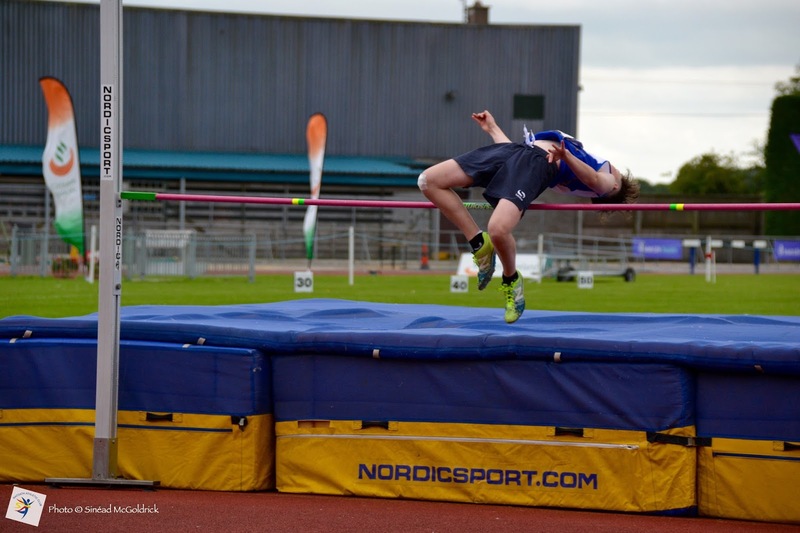 Our Field eventers had a mixed day, Niamh Murray was well below her best in the girls u13 high jump finishing 7th. 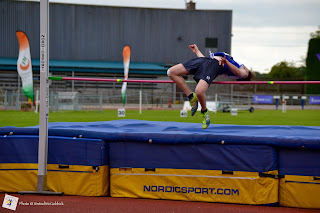 Fionn Drummond who was very disappointed with his Leinster performance bounced back in style to take gold in the u14 boys high jump setting a new championship record of 1.45m in the process. 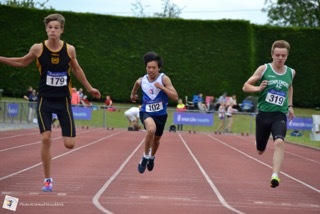 Well done to all athletes on some great performances.